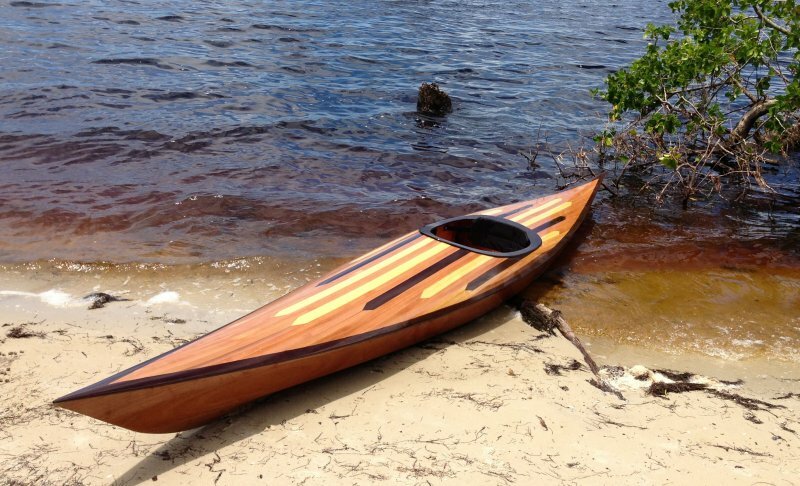 Sue Gaire’s first attempt at building a wooden boat turned out beautifully when she launched ARROW from a small beach at Ponce de Leon Park in Punta Gorda, Florida, last summer. ARROW is a Shearwater 14 hybrid kayak that she built from a kit by Chesapeake Light Craft (www.clcboats.com). Susan modified the coaming around the cockpit, but otherwise followed the kit as given.